Produce a portrait on a hard-boiled egg! Visual essay-writing: cartoons, sticky-notes and plenty of collaboration! As a starter, plenary or revision exercise, challenge students to summarise an aspect of their most recent study topic as a ‘click bait’ headline for a trashy website blog post. [?] tries to [?]. You won’t BELIEVE what happened next! During revision, secretly allocate different students a different topic to produce a clickbait headline for. Other students then have to guess what topic is being referred to. 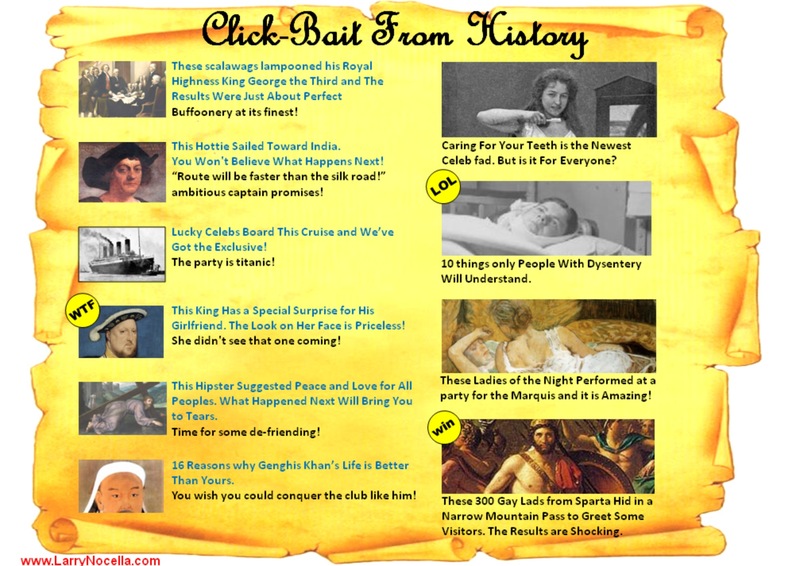 This idea was inspired by the #historicalclickbait concept from Kate Wiles at History Today and shared on Twitter by the great #histedchat contributor Anne Gripton.